Boracay Island in the Philippines is one of the hottest tropical holiday destinations in the world, and Boracay Resorts Guide is here to help you find the perfect hotel at the best price possible. Known for excellent weather most of the year and some of the most beautiful white-sand beaches in the world, Boracay Island also offers great value, with great resorts at very reasonable prices. 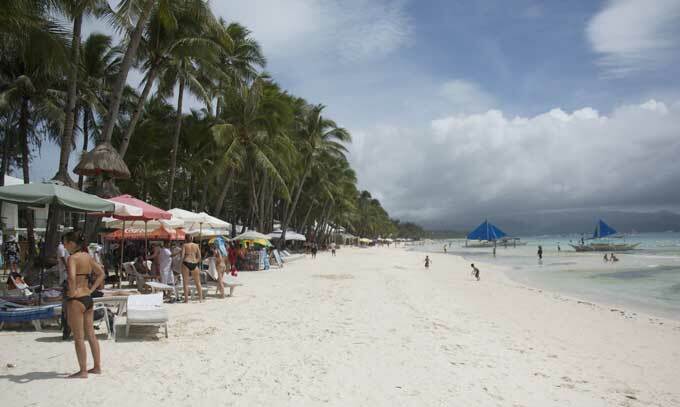 One of the most unique features of Boracay Island is that nearly every hotel is on or a very short walk from the beach. White Beach is the long and sandy beach along the islands western coast, and it’s lined with hotels, restaurants, bars, shops, and travel agencies waiting to book you on a tour or adventure activity. Bulabog Beach is on the eastern side and the steady winds there make it the most popular area for wind and kite surfing in Southeast Asia.